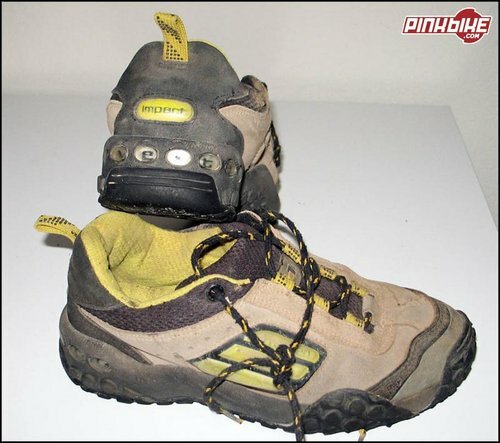 Five Ten Impact Pro Shoe Review - April 9, 2019, 4:25 p.m.
AJ thanks for the history lesson, didn't know all that about Jeff & Intense, pretty darned cool. Sincerest apologies if I came in hot with my remarks, was not meant to be a diss, just trying to keep the timeline correct, which clearly I did not thanks for the lesson. Five Ten Impact Pro Shoe Review - April 9, 2019, 9:13 a.m.
FWIW, I will attest that the water resistance is amazing with the Impact Pro, having worn them through several very rainy days, many of them commuting, here in Seattle they are indeed quite water resistant. Still always good to pair with a nice waterproof sock for reassurance, but awesome none the less. Great shoes. 2019 Marzocchi Bomber CR Coil Shock Review - Jan. 25, 2019, 7:42 a.m. Thanks to you both, had to ask can never be too sure these days. Cheers. PNW Rainier Dropper Post and Loam Lever - Reviewed - Jan. 24, 2019, 9:16 a.m.
FWIW, KS already makes a guide to get the cable length correct for their droppers, which is incidentally the same length as the PNW post requires, so there is an easier way. Much as I love OneUP stuff, there post seems to have some nagging problems so this may be my next post when I'm ready to upgrade. 2019 Marzocchi Bomber CR Coil Shock Review - Jan. 23, 2019, 8:35 a.m. I assume Fox springs, like the SLS, will fit this? WTB Vigilante & Trail Boss Tire Review - Dec. 4, 2018, 12:02 p.m. The Bontrager Ion Pro Light - Nov. 9, 2018, 8:51 a.m.
Will check out the Solas 250, thanks. The Bontrager Ion Pro Light - Nov. 9, 2018, 8:24 a.m.
Andrew after that comment about your rear flasher I have to ask, what are/were you running? Obnoxious sounds perfect, especially for commuting on Seattle streets. I'm def adding this light to my short list for this season. Solid review, thanks.